The energy of October had a strong resonance of change. I noticed mine physically—Ascension symptoms were abundant! I also noticed a lot of throat clearing happening for many (unexplained dry cough, sore throat, clearing a phlemgy throat, etc.). In October some had sudden geographic or job changes. Perhaps you noticed the change on the world stage. From an energetic perspective, much of that is still about exposing corrupted and destructive intent. This means humanity is evolving into more empowerment because as a whole we are stepping into more responsibility with our governance. It’s a slower process than the individual process, but the two are intertwined. These times are calling for more energetic participation as we “work with the Light,” the unformed, the potential. Prayer and focus on improvement are paramount right now. Spend time focusing on what draws your heart, sometimes through pain (like in the United States – watching the pipeline protests or politics), but focus on the positive potentials that can be borne from a situation. Let that lead to actions that feel appropriate to you as you participate in Life with a focus on the improvement forming. Powerful times indeed. 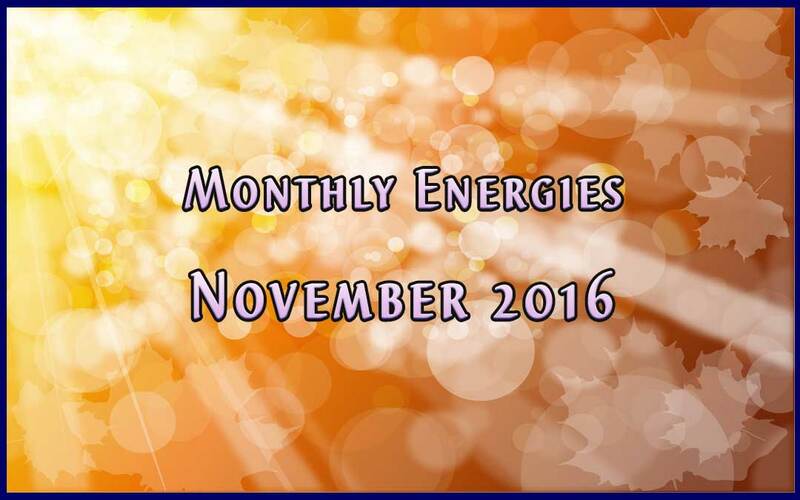 The energies of November are calling for us to open to the full flow of Love and RECEIVE! Receiving is sometimes a challenging one because we think we want to receive, but often we are resisting the natural path that life is presenting for us to thrive. It can be easy to confuse “wanting” with receiving. It is natural to want—we are creative beings. We want peace, love, health, financial flow, creativity, improvement, etc. Where many will resist receiving is when the wanting has a variance of desperation on it, and receiving means moving past a resistance or discomfort. Life is always calling you to open to your empowerment and change your vibration within first. Your easy flow internally creates easier flow externally. You can’t just do it to avoid experiencing any challenges, you do it to be in full flow with life, to actualize your full potentials. That will serve you when things aren’t easy on the outside. I mentioned I had physical Ascension symptoms in October. Sometimes I actually felt nostalgic since I don’t feel them often anymore. I also got annoyed and frustrated with it at times. During those times, I embraced my frustration (let your authentic emotions flow in healthy ways), I recognized I was resisting and I sought to shift my internal emotional flow. I eased myself into new authentic feelings by remembering that I was changing in unseen but profound ways, reminding myself that it has improved so much over the years, etc. I made the effort of changing my vibration within into easier flow with my situation. Honestly, this example was an easy one. They aren’t all that easy. Work the easy ones! They show you your capability to handle the ones that aren’t as easy. 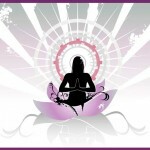 To want with desperation indicates the lower chakras are not fully integrated. When the lower chakras are integrated, you are able to apply the higher dimensional paradigms and processes into the physical realm. You are maintaining an open and unified energy field as you interact with life. You move through challenge and create improvement more easily. You embody the peace that passes all understanding, and you are being the change you want to see in the world! To integrate the lower chakras means moving past fears, releasing negative emotions that dampen your creative flow, taking actions that connect you with others in healthy ways, and honoring yourself as you would honor others. You don’t need to be perfect. Love the you that you are in this moment and you will discover Life flowing possibilities to you. Sometimes it flows “exercise” (challenge) to you. Enjoy those as much as possible, as they are life calling you to more strength with your Love. When choices are made with loving care for the self, choices are made that benefit the outer world as well. Whether it feels like a moment of giving to another or a moment of saying no to another, it is mutually beneficial. 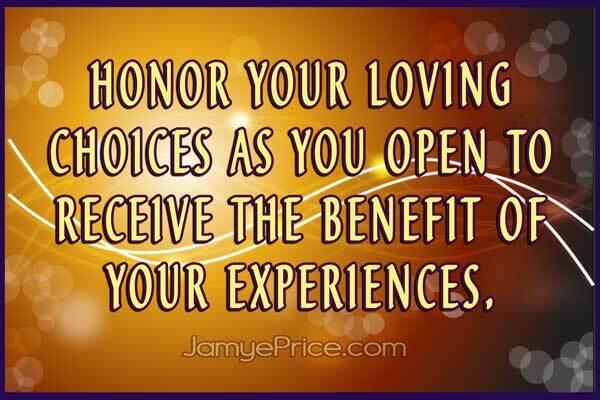 As you honor the loving choice of the moment, you are opening to receive the benefit of an experience. To heal resistance, work it from within. Observe your mental and emotional flow. When you have an emotional charge to something, or you can’t figure out the patterns that are occurring, then you will benefit by easing within. That will create an opening for you to receive. The action of it will become clear to you. How life is asking to change will become clear to you. Receiving the harvest of food means committing to nurturing the earth and plants through all the seasons in different ways. Receiving the harvest of companionship means committing to holding healthy boundaries and taking risks of connection beyond your comfort zone. Receiving the harvest of money means committing to actions and choices that build a future based on gracious energy (money) flow in and out. Receiving the harvest of health means focusing inward and listening to your body and choosing food, rest, play (exercise) and mental/emotional choices for your body’s needs, not to please another. When the lower chakras are integrated, you relieve the mind from having to figure out how and why from fear and frustration. This allows the heart to lead the mind into greater connection. When your heart is open, you are receiving based on your joy, passion, connection, and compassion. It is important to open the heart in a balanced way. Healthy boundaries are important so you aren’t being depleted. 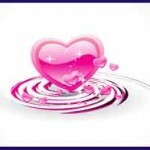 Learn to hear the compelling of your heart so that you are able to choose from Love. Feel comfortable taking reasonable risks. One of the best ways to open to receive is to practice appreciation. This has been taught by many, it is core to our flow. Your attitude of gratitude will feel uplifting when authentic. It’s your energetic exercise for a healthy energy body! Take a moment in the morning and evening to find some things you genuinely appreciate about yourself and your life. After a challenge, take some time to find some things you appreciate about it, even if they are just potentials. It is important exercise. I give more details on how to do this in the November video. In this Year of Clarity, we are being refined into a purer form of self, resetting into our Divine Blueprint as a stronger, clearer human being. This means an internal shift that results in a better understanding of flowing with Life, making choices, perceiving, participating, and even waiting. It means that we are each more peaceful within and have more access to Loving the perfection of a situation. Now is a time of actively elevating the human condition into a state of safe connection. In essence, we are integrating the collective lower chakras of humanity as we each find our safety, connection, and empowerment within. Thank you for your effort at changing within. Life will follow your lead.